To secure the safety of our students and independent customers, we always have our rescue service in place when Kiteboarders are in the water. Equipped with either a Jetski or a Boat, we secure that in any case of emergency we can reach you in the fastest way possible. 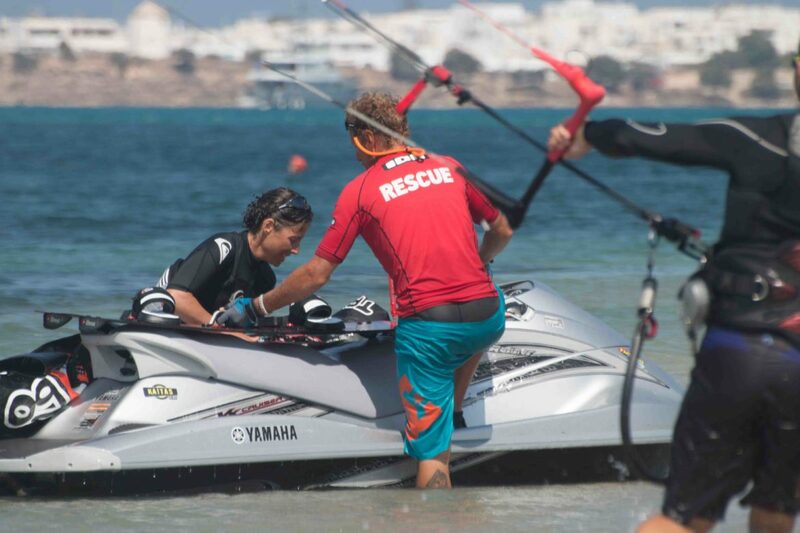 Even though Kiteboarding has be come more and more safe with todays equipment and better developed safety systems, still there is situations where a quick rescue service prevents any further damage to either you or your equipment. Customers that pre book our rescue service either each day before they enter the water or on the first day of their stay for the total stay are not charged any further rescue fees! Non registered Kiteboarders! In case our rescue service will have to assist and recover you or your equipment from the sea, service charges are applied! Rescue service for 1 person, up to 3 rescues per day!